Upcoming San Francisco Bay Area Book Events! I may have returned from my whirlwind January book tour to Texas and up and down the west coast, but I’m not done scrawling my messy signature on your books just yet! 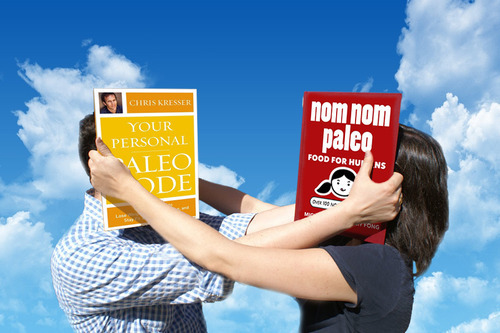 Next on the agenda: a couple more Nom Nom Paleo: Food For Humans book events this month in the San Francisco Bay Area! 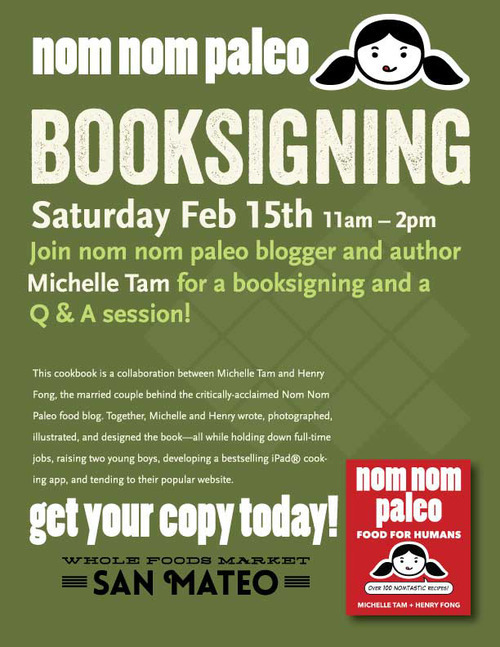 First up: A lively Q&A and book signing at Whole Foods San Mateo on Saturday, February 15, 2014, from 11 am to 2 pm! The San Mateo store is centrally located between San Francisco and San Jose, and just across the bridge from the East Bay, so if you’re within radio broadcast distance, come on over. In addition to chatting you up, I’ll be giving away some cool Nom Nom Paleo swag and my favorite slow cooker, a 6-quart Hamilton Beach Set ’n Forget! The event is free, but please RSVP by clicking the link here. 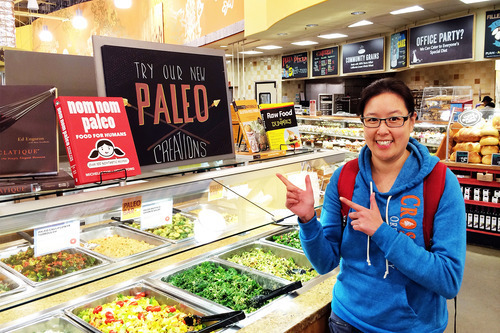 As an added bonus, Whole Foods San Mateo is offering a coupon for a FREE pound of Panorama grass-fed beef with any purchase of $50 or more at the store. Click here for a printable copy of the coupon. The coupon is valid at the San Mateo location from now through the day of my book event (February 15). Next up: A Joint Book Event with the one-and-only Chris Kresser at Book Passage in Corte Madera on Friday, February 28, 2014 from 5:30 to 8:30 pm! We’ll be conducting a short Q&A session; Chris will field all the science-y questions while I tackle all the easy cooking ones—and once again, I’ll be giving away some super-fantastic Nom Nom Paleo stuff and another 6-quart Hamilton Beach Set ‘n Forget. The event is free, but please RSVP by clicking the link here. Also in the works: Don’t worry—I didn’t forget about the middle of the country! I’m busily planning a few events in mid-March for Chicago and the Denver/Boulder area. Stay tuned! 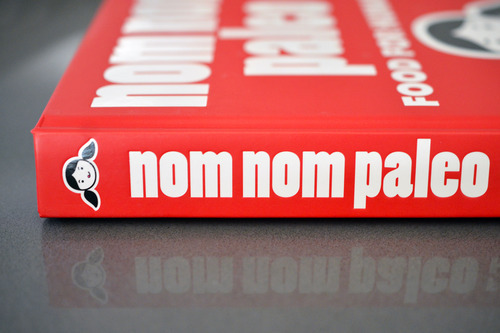 Previous Post: « Reader Appreciation Giveaway: Instant Pot & Nom Nom Paleo Action Figure!